No entries available on race day! Route video, chat to organisers and RSVP attendance to claim your free beer / wine. Start is at the Newlands Picnic Site. CLICK HERE for map. You will find these options on your entry form. Entries will be limited. No entries will be taken on race day. 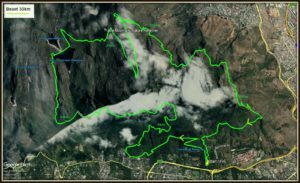 If you can make it first (and complete the race) up the quad burning, lung busting climb of Nursery Ravine for Beast 30km and to Maclears Beacon for Beast 50km you receive R1000. sh and the Start of your Celebrations. Medics are available.